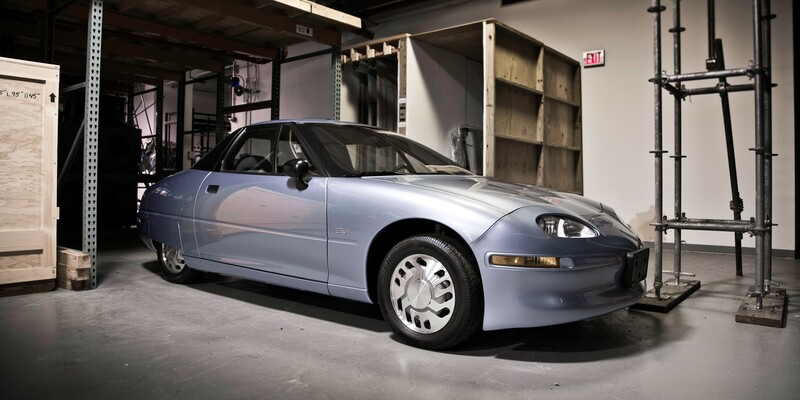 This weekend was the 19th anniversary of the first deliveries of GM’s all-electric EV1. With GM planning to release the Chevy Bolt in “late-2016”, it would coincide with the 20th anniversary of the EV1 launch. Although it’s doubtful the company will try to associate both releases considering GM is trying distance the Bolt from the image of a compliance car, it is nonetheless an interesting coincidence. The EV1 was the archetype of a compliance car. GM introduced the vehicle after the California Air Resources Board (CARB) passed a mandate requiring the production and sale of zero-emission vehicles and as soon as a lobbying effort managed to relax CARB’s mandate, the company recalled all EV1’s, which were under lease agreements, and crushed them. Although optimistic, a release by the end of 2016 is not impossible considering the pace of GM’s Bolt program. The company first unveiled the concept at the Detroit Auto Show in January 2015, and now they are scheduled for the official unveiling of the production version in January 2016 at CES. If it turns out to be true, it would definitely erase any suspicion of the Bolt being a compliance car. LG and GM recently announced the expansion of their partnership in order to produce the all-electric vehicle, but the companies didn’t update the planned production output of 25,000 to 35,000 units since the beginning of the year. If the company delivers on the promised range of 200 miles and starting price of $37,500, the car could prove to be quite popular. It will be interesting to see if it will be easily available outside of CARB states and if they will ramp up production to make sure it is available.